Getting service work on your car is never fun, however it is important to the health and safety of your vehicle and the passengers inside. Our Jaguar dealership near Newton, MA wants to lighten the load of having to get your car serviced by offering you Jaguar service specials. 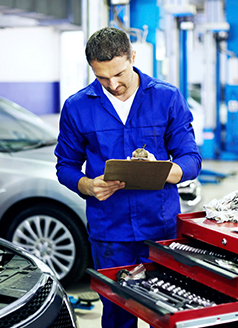 Check out our specials above so you can be sure you're not paying too much for the service your car needs. If you prefer to do the service work in the comfort of your own garage, we also have a Jaguar parts center near Boston, MA that will provide you with the quality Jaguar part to get the job done right, you can even save money on parts by checking our our Jaguar parts specials! When it's time for a new car like the 2019 Jaguar F-PACE or the 2019 Jaguar XE, we've got you covered! If you have any questions, or need to set up a service appointment contact Jaguar Peabody today!